At the town council meeting, Councillor Cathy McCafferty put forward a motion asking the town manager to report “on the implications, if any, for the proposed TC2/TC3 developments following the decision by An Bord Pleanála to refuse planning to Seán Halpin/Greenband and to give this council an honest appraisal of the future development of this site, with particular reference to the arts centre for Shannon, now that the main architects, Murray O’Laoire, have gone into liquidation”. Introducing the motion, the Sinn Féin member said that things have changed utterly since January 2008, when a senior planner from Clare County Council outlined what he expected to be delivered by 2010. 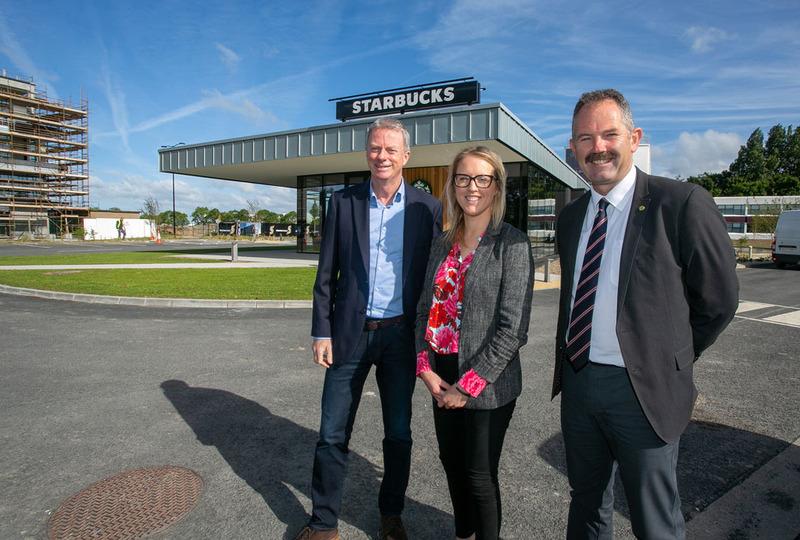 She said it had been expected that the new town centre “would be accessible to 175,000 people and would be attracting people from Galway, North Tipperary and even Cork and Kerry”. She said that since then the only major proposal had been made by Greenband but that seemed to have been scuppered by a recent An Bord Pleanála decision. She said the Bord Pleanála decision is “extremely disappointing for Shannon”. Councillor McCafferty said that the town could do with the jobs boost that would have been provided by the Greenband proposal, while she said that a lot of local young people are now looking at emigrating. A report from planner Gordon Daly stated that the architectural firm going into liquidation didn’t change the policy of Clare County Council. He also said that the An Bord Pleanála decision didn’t have implications for the provision of an arts centre in the masterplan area. He claimed that Shannon has been “crying out” for a streetscape for years, but that it isn’t coming. Councillor Tony Mulcahy said that there is little hope of any major developments taking place in the next few years. “It’s just not going to happen,” he commented. Town manager Bernadette Kinsella said that the masterplan for Shannon hasbeen incorporated into the South Clare local area plan and it could be delivered if circumstances improve. “It provides a blueprint for the development of a strong urban centre, when the economy picks up,” she said.